The Ruffled PJs are a cozy pajama pattern just right for transitional and winter seasons. 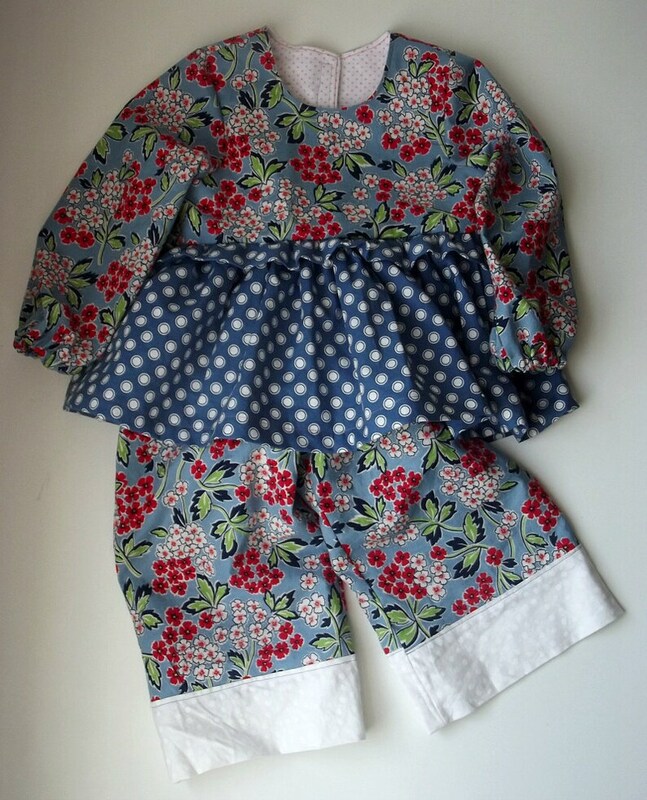 The pattern's top is designed to be looser across the bodice for little ones who like the room in their PJs. It is ideal for a good twirl. For extra comfort the bodice is fully lined. It closes in the back with buttons, snaps, or velcro. Pants can be sewn with or without cuff detail. 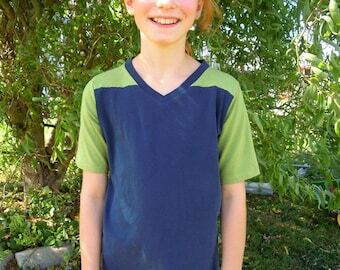 NO SERGER NEEDED - this pattern does not require a serger to complete. This pattern is appropriate for confident beginner sewers and includes illustrations and step by step instructions. The pattern features print only the desired size layers option. Select which sizes you want to print for easier pattern piecing and ink saving! Sizes: 12m - 8 (12m,18m,2,3,4,5,6,7,8,10,12) please reference the sizing chart included before choosing your size. This pattern is designed by OUSM Designs. All designs are copyrighted 2015, all rights reserved. Home Sewers may produce this pattern on small scale for sale. Not for mass production.